These SSA marketing materials will help you promote your Group and your activities! They have been developed in the promotional look and feel of SSA. 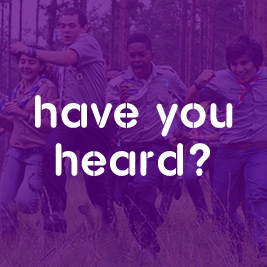 The new look represents the “true adventurous essence” of Scouting. The materials are to be used in the templates they have been designed in to ensure a more unified brand and increased awareness of Scouting.The SCOUTS South Africa brand is copyrighted. No items with this brand may be produced or altered without prior written consent from the SCOUTS South Africa CEO. Some of the documents are large (over 30 MB) and will take some time to download. The size is necessary to preserve the quality when printing large posters or pull up banners at high resolution. We are making use of Dropbox to store many of the materials on this page. You don’t need a Dropbox account to download them. Please take note that in order to preserve our brand integrity we have a comprehensive SSA brand manual which also puts us in line with WOSM’s branding regulations. SSA’s Award winning ad “Learn it young. Remember it forever”. Signage shared with a sponsor: SSA standard signage with 1/3 for the sponsor. Pull-up banners: Make the difference / Up for the challenge / Standard corporate branding. These are made to order as X-frame or Economy pull up banners. Email shop@scouts.org.za to order. Please find the materials and the campaign description here. Clothing can be purchased at your Regional Scout Shop or online here. Bumper stickers: Product specification: purple SCOUTS South Africa logo. Made to order. Specification: 350mm x 200mm. Two designs either standard or promotional brand.